Learn how to eliminate common errors in printers Canon PIXMA MG2120 is simple, just follow the steps below. The most common error in Canon printers is that the ink cartridges are empty, this error may occur when the cartridge has been refilled, and put this again. The Canon PIXMA MG2120 printer if you have continuous ink system, the error appears after printing approximately 240 pages with the original cartridges, although the system is completely filled ink cartridges and with little use this error appears. Many of the errors that appear in this printer before trying any procedure, we should try to reset the device — must not confuse restore with reset, to restore a more complex process is required — a reset is achieved by pressing and leaving at least 10 seconds the stop / reset button. 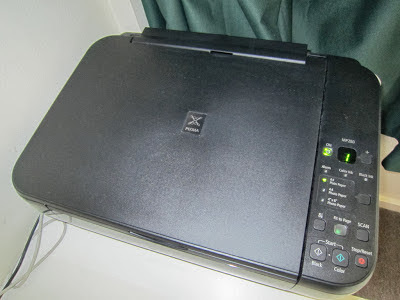 This should understand that only allow you to continue printing, but not reset the ink levels, also may not work if the printer has problems with the ink cartridges. If you have questions or need additional help with the printer just write a comment, gladly be answered.